Bloggers love getting comments on their posts. As long as they're not from ugly internet trolls or spammers, that is. I love them too, don't get me wrong. But here's the thing, another aspect of this blogging gig is the use of social media to tell people about our posts so they will get read in the first place. So I think we bloggers need more social media interactions -- comments, likes, shares, retweets, +1s, hearts, repins, whatever -- to help get our writing in front of more eyes. Alright, let me be completely honest. This new attitude of mine is specifically influenced by the increasingly stringent rules and confusing Facebook algorithms. I am on a one-woman mission to get more Facebook posts seen by more people, dangit! And not just mine, but everyone's. However, this same ideal is spilling over onto the other platforms as well. When I like a post I've just read, I share it far and wide. Then I specifically go to the blogger's Facebook page and look for their update about said blog post, click like and leave my comment THERE instead of on their blog. Hence, they get the pageview on their blog because I read the post, plus they get a bunch of social media love, which will hopefully lead to more blog pageviews, and so on and so forth. 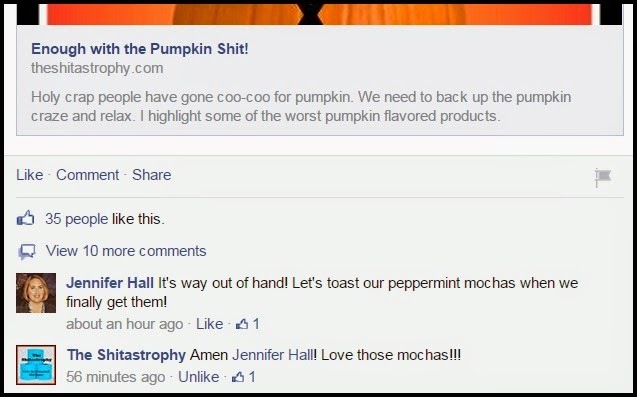 For example, yesterday I read a hilarious post by Alyson of The Shitastrophy about how sick and bloody tired she is of the deluge of pumpkin spice flavored everything in our faces this fall. I thought it was funny and I agree wholeheartedly. So I pinned it, tweeted it, shared to G+ and Facebook. Then I simply scrolled back up to her social media buttons, clicked the one for Facebook, scrolled down her page until I found where she shared this particular post, and left a comment. Voila! Social media love spread! And maybe, just maybe, Alyson gained a smidge more visibility from my few extra clicks. Can I throw some more honesty at you? I would love it if you wanted to do the same for me too. I know it's some extra clicking around. And maybe you're not that into social media. OK. But if you like something I wrote I would sure love you long time if you shared it! Every blogger would. And remember your good bloggy karma points. You know I love you just for reading too. Truly. But maybe my one-woman mission could turn into an all out assault of spreading bloggy social media love. What do you think? 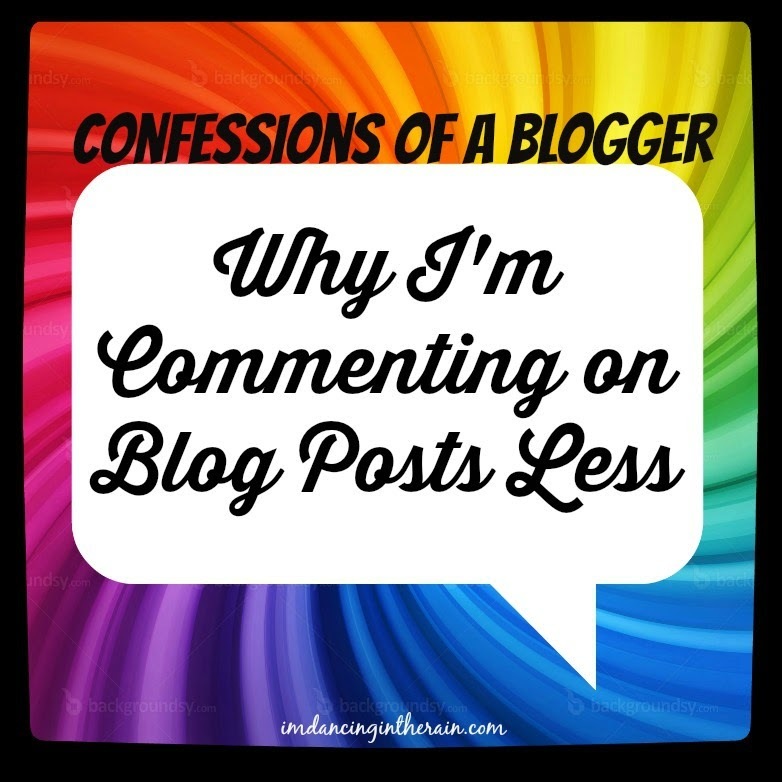 Do you still prefer blog comments, or are you just as in love with likes and shares as I am? What compels you to share blog posts? PS: Have you heard of the new SM platforms Tsu and Ello? I am new to both. So far I'm liking Tsu more than Ello. If you're on them, find me here and here!